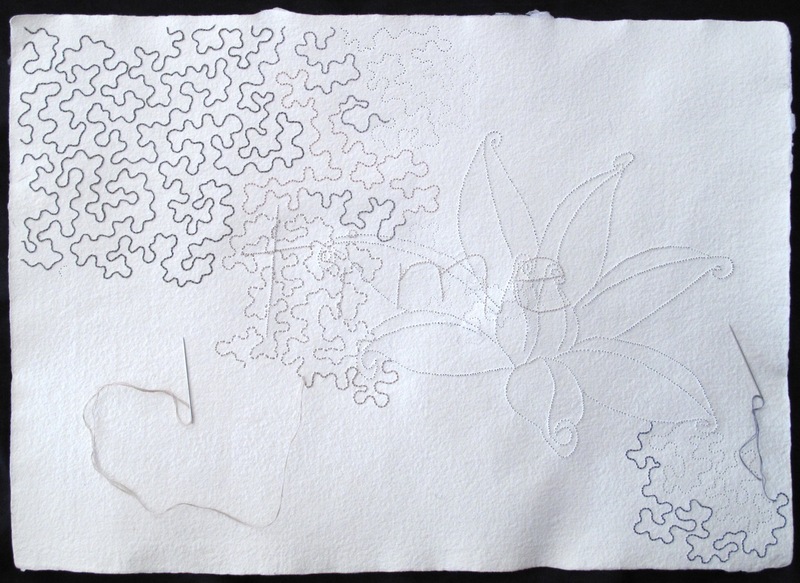 I'm embroidering a vermicular line in miniscule backstitch, inspired by the ground patterning of 18th century French block prints, the indiennes, produced in Jouy, France by Oberkampf. The scenic toile de Jouy style is the more memorable work of the renowned Jouy factory. Designers at this time were influenced by the Indian fabrics that had arrived in Europe, controversially banned for a time to protect local textile producers, and they were also inspired by the surge in botanical illustration and the fashionable craze for botany much attributed to the work of Linnaeus and since the publishing of his Systema naturae in1735. 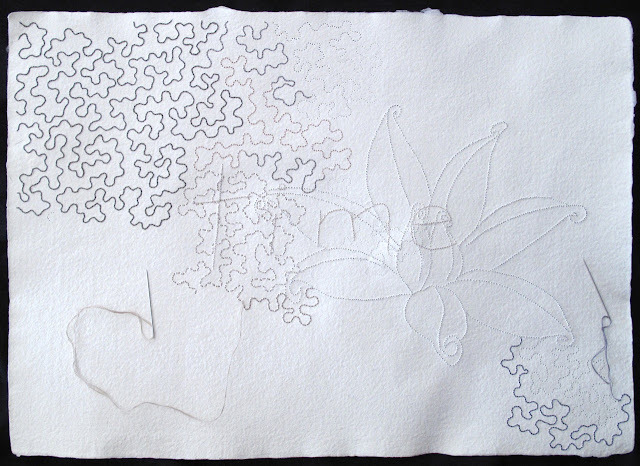 A perforated drawing of a tree peony pod taken from my garden appears in the work and the word time. The paper is handmade paper from Papeterie Saint-Gilles in Quebec. I love this piece. Great work. Welcome to the blogosphere! Thanks for showing us a piece in progress-- it's lovely.